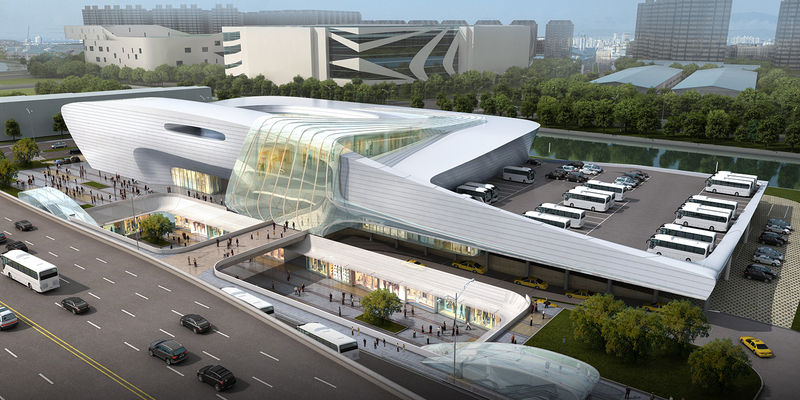 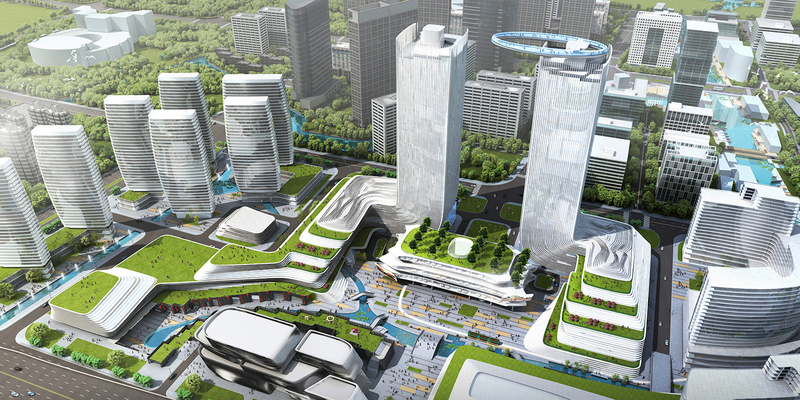 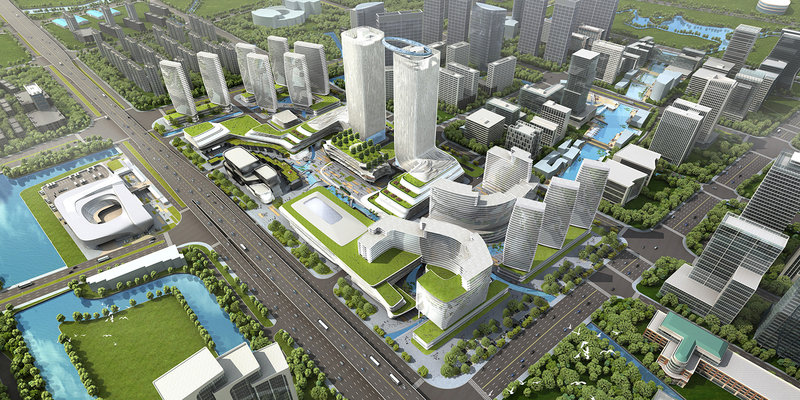 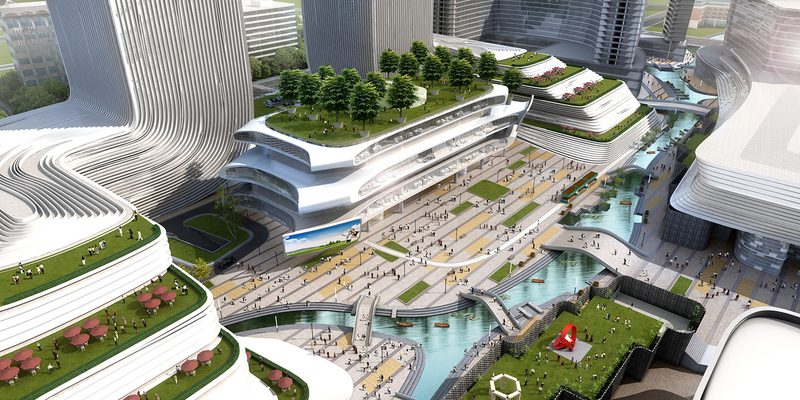 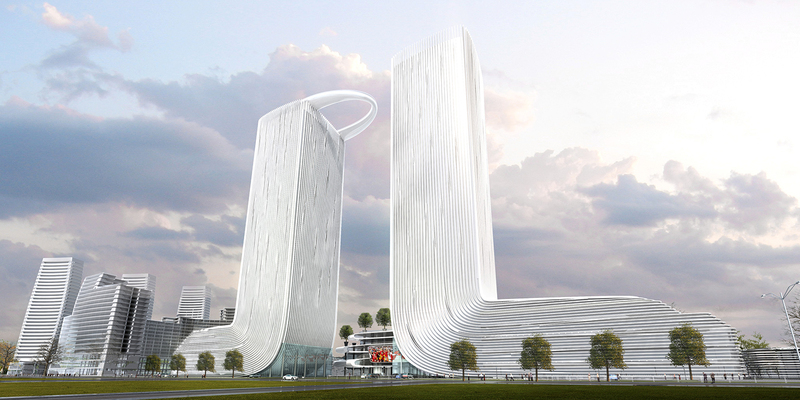 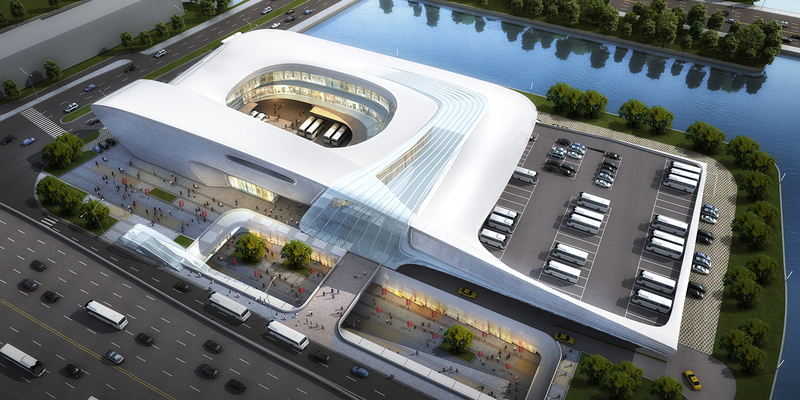 In January 2014, amphibianArc won first prize in the Ningbo Yinzhou Southern CBD Portal Project Planning Design Competition. 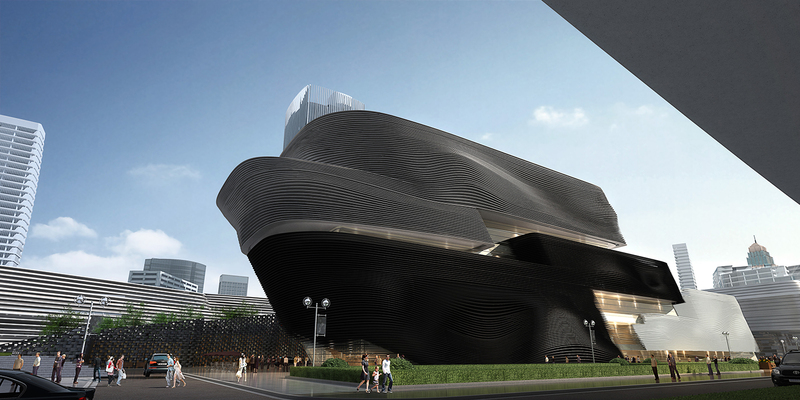 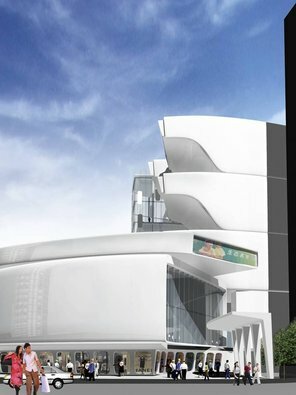 The competition was commissioned by Ningbo Yinzhou Urban Construction Investment and Development Corporation, who is responsible for successfully implementing the Ningbo Museum project designed by Wang Shu. 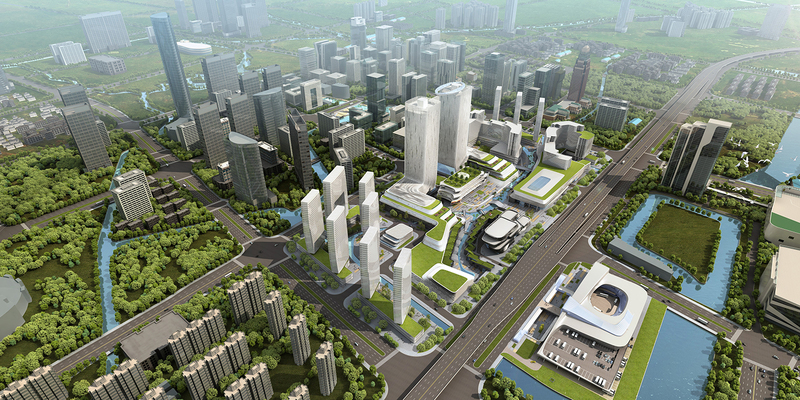 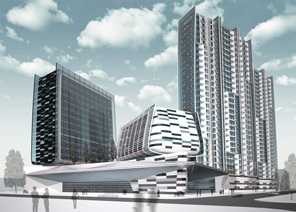 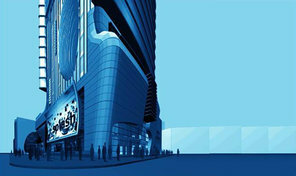 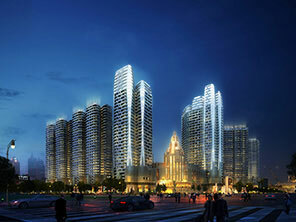 The subject of the competition was the fourth phase of the Ningbo Yinzhou Southern CBD, the Portal Project. 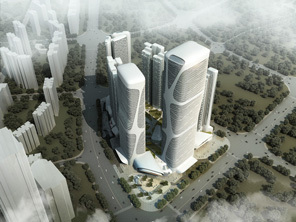 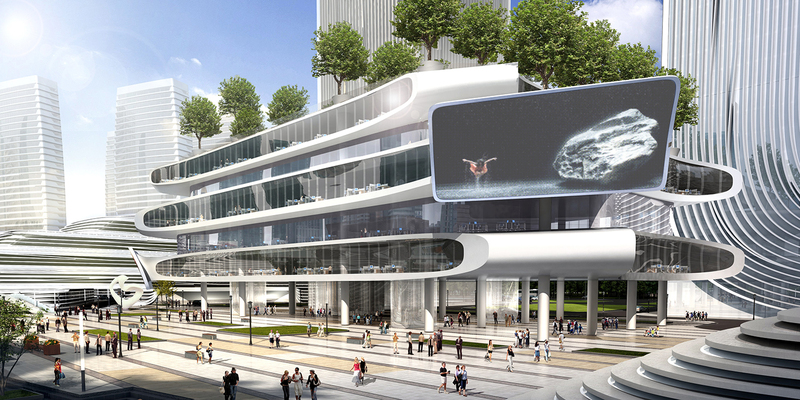 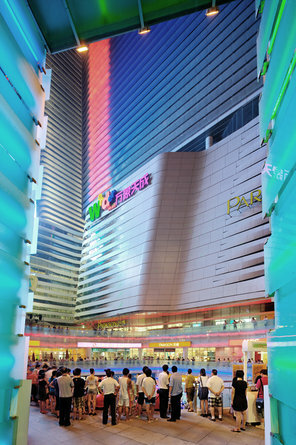 Six international design firms from China, U.S. and France participated in the competition, including URBANUS. 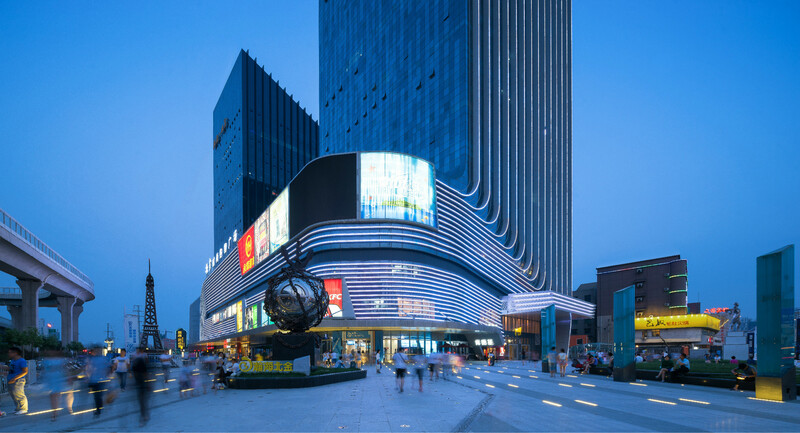 The project is located in the southernmost tip of Yinzhou Southern CBD, to the north of Huanqiu City, east of southern Ningnan Road, west of southern Tiantong Road, and south of eastern Tai'an Road. 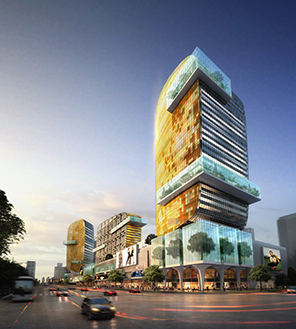 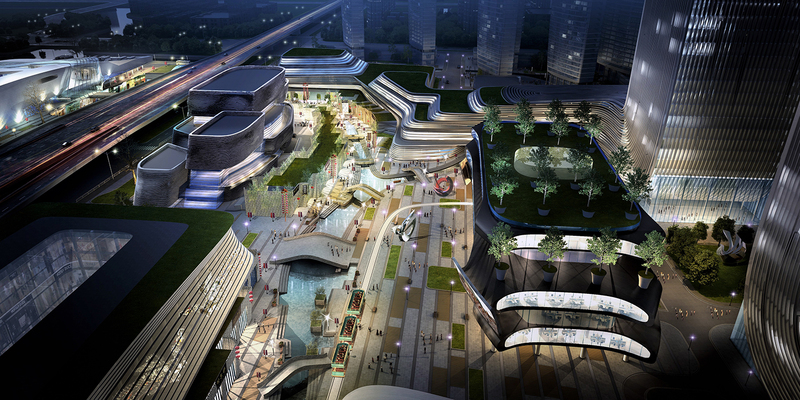 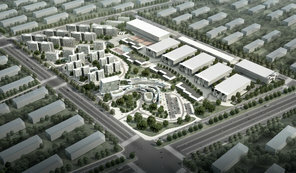 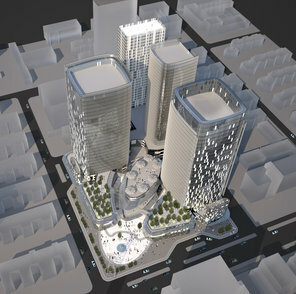 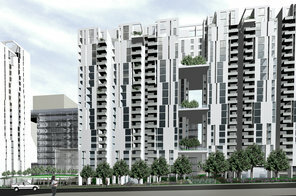 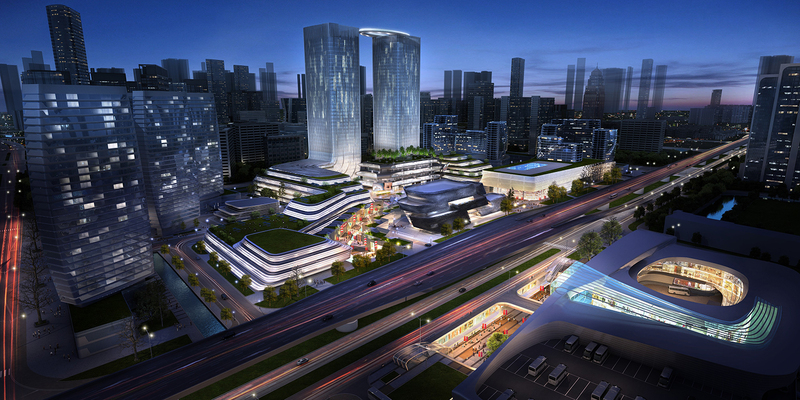 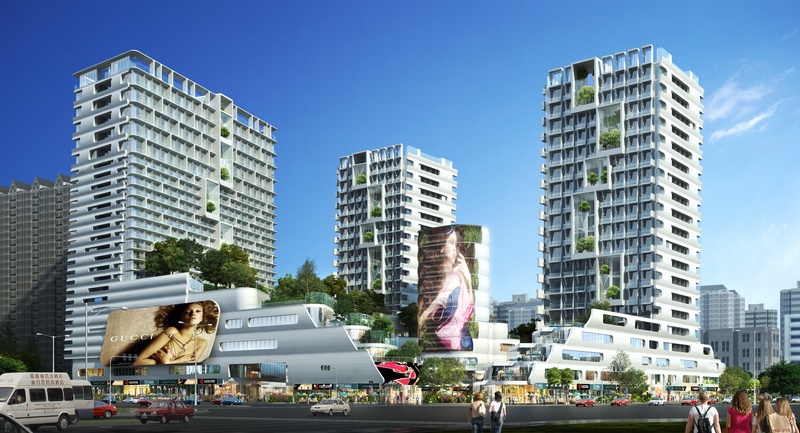 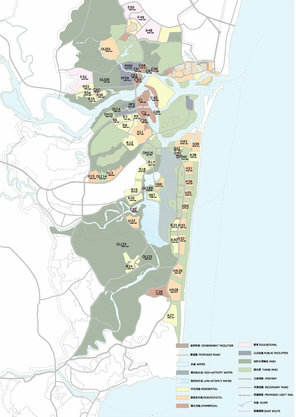 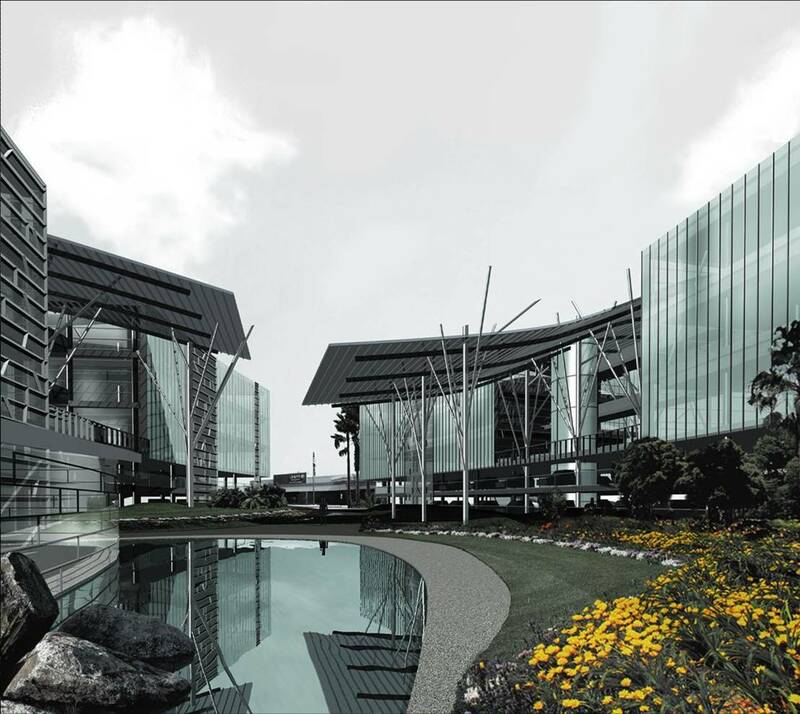 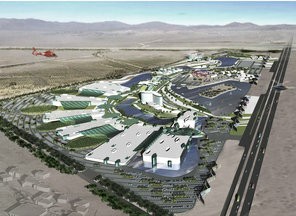 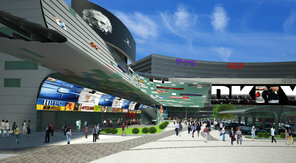 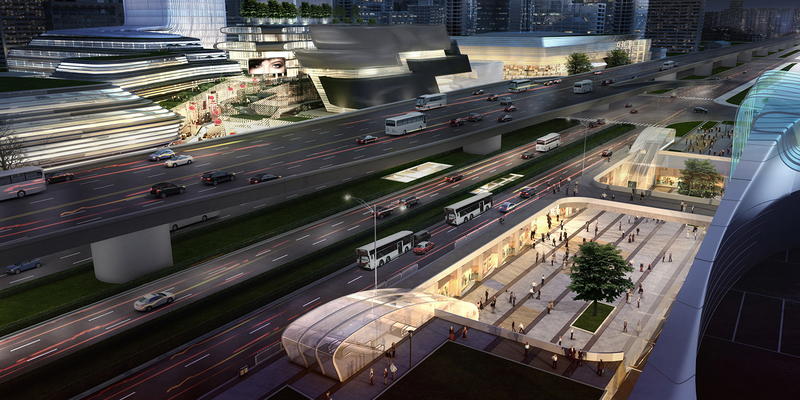 The plan emphasizes the strategic position of the portal area while facilitating its urban center feature. 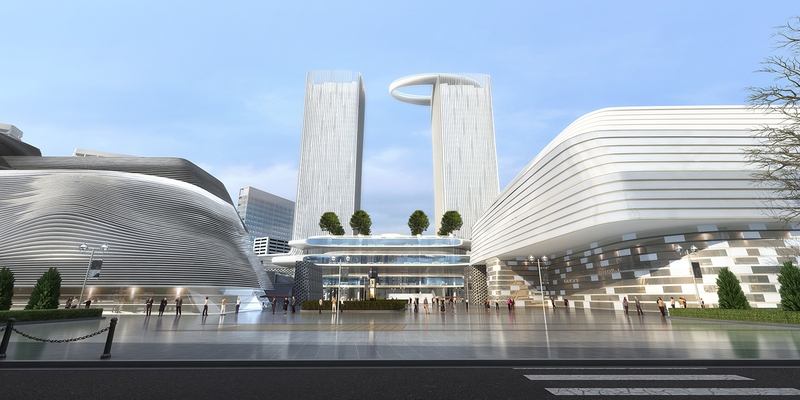 Based on transit-oriented development model, it also seeks to create a new regional center around the transportation hub, so as to maximize the urban public space and to achieve vertical sustainable development of the landscape levels. 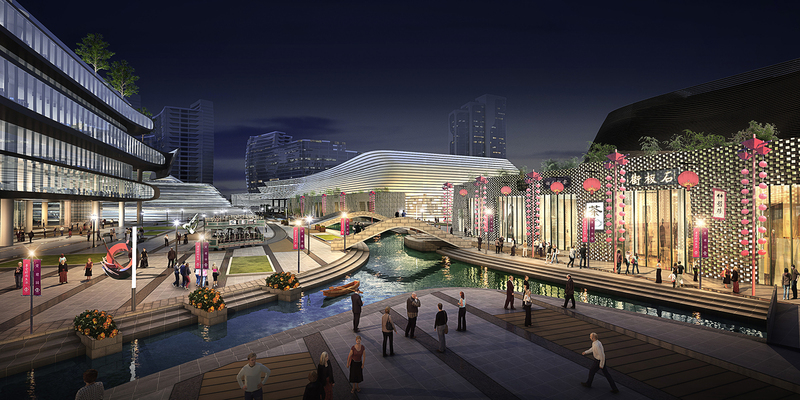 With Ningbo being one of the starting points of the Maritime Silk Road, the booming economy of Yinzhou plays a critical role in both the ancient and the modern trade routes. 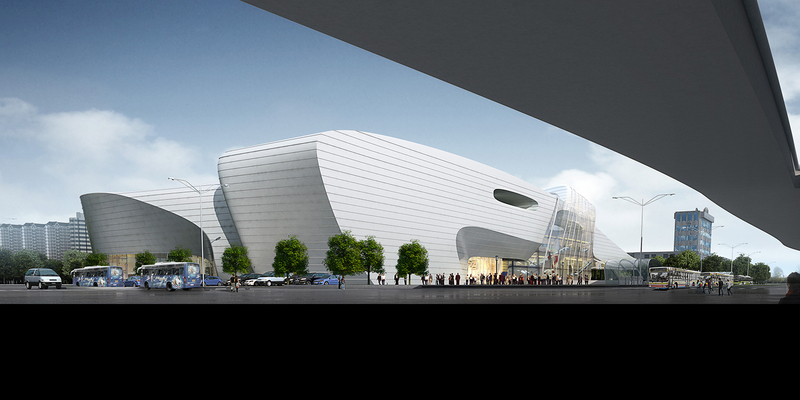 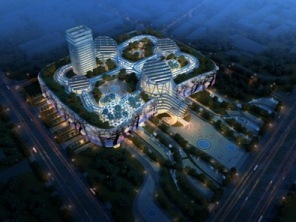 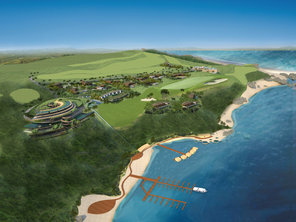 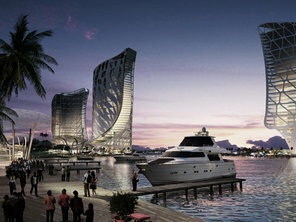 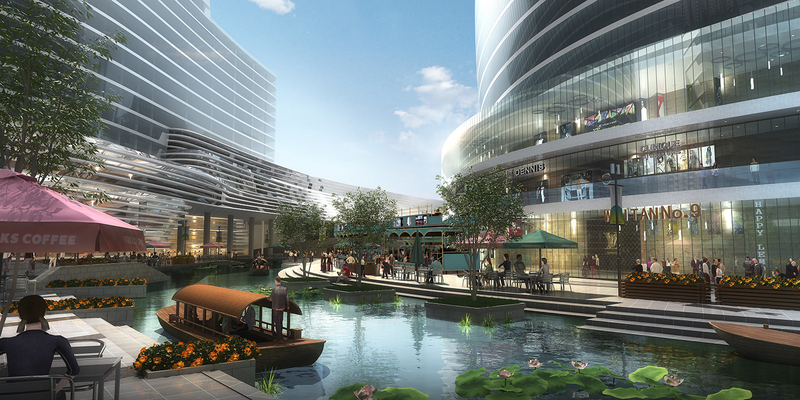 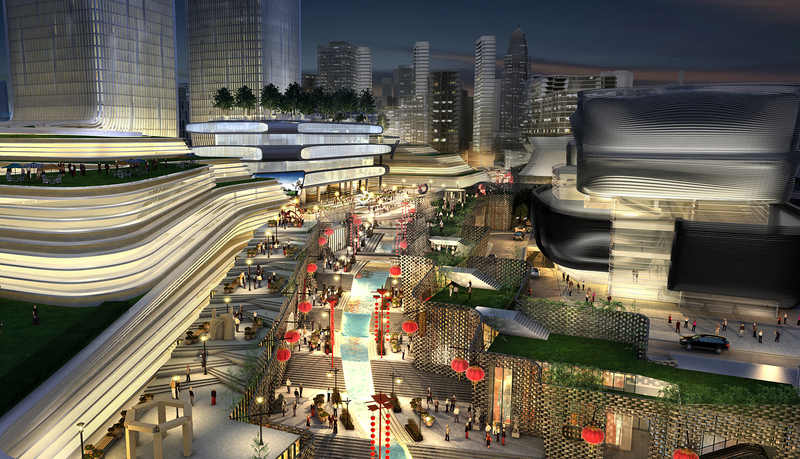 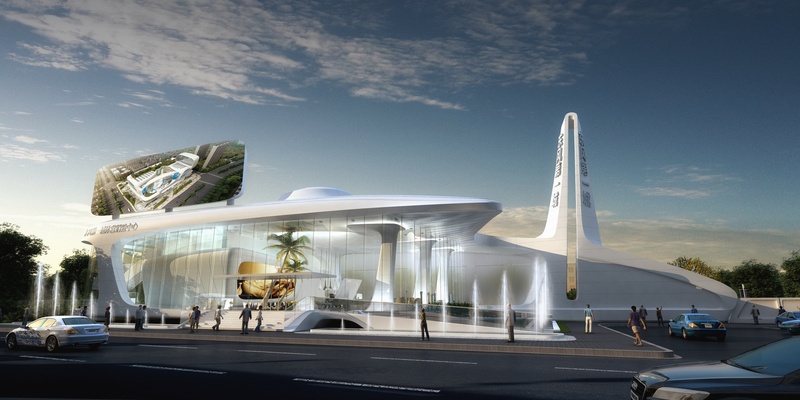 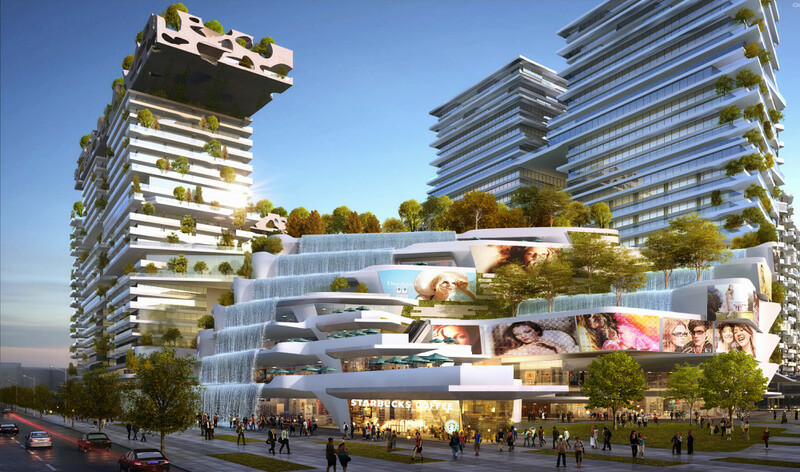 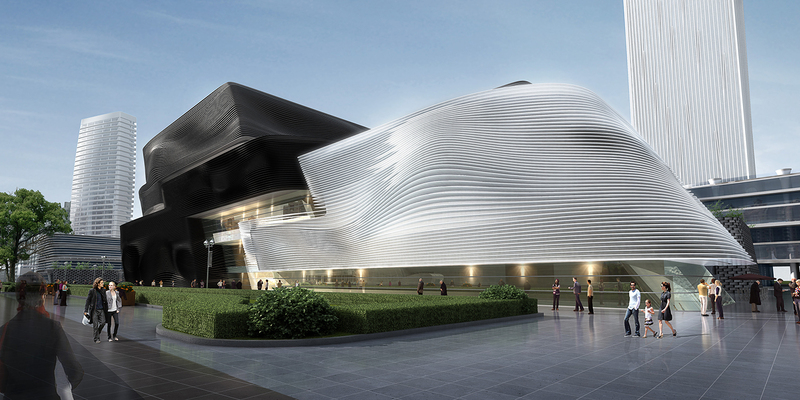 So the planning concept draws inspiration from the Silk Road, as a manifestation of Chinese cultural heritage. 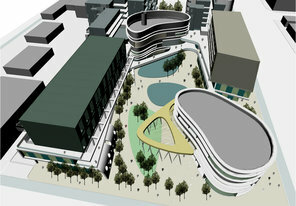 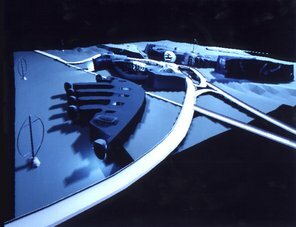 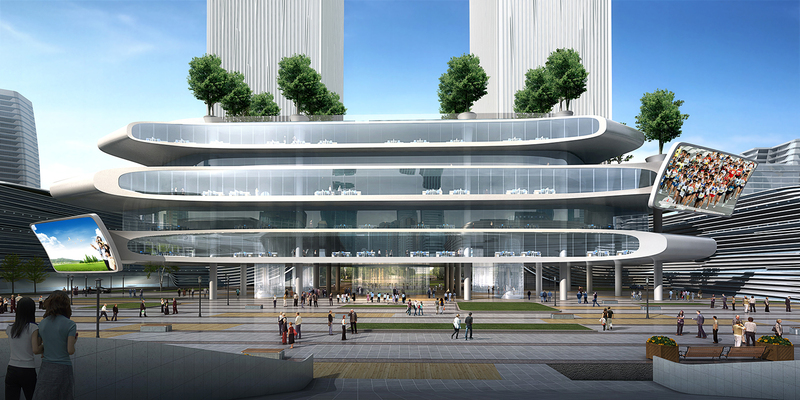 The plan divides the buildings of the site into two categories. 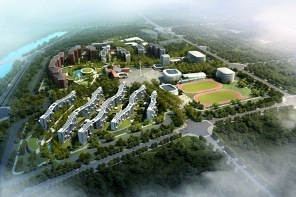 The first category is the five main buildings, which have the most highlighted features and body mass. 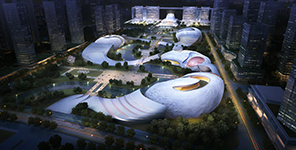 With different styles and forms, they compose a diversified group, unfolding a variety of environments and cultural characters. 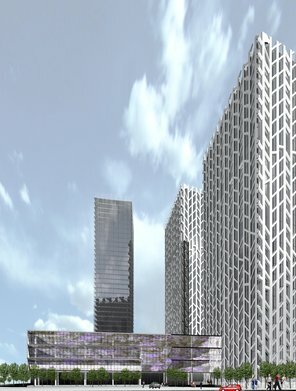 The second category is the background buildings. 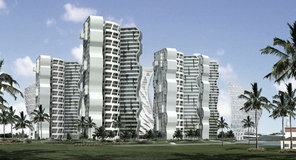 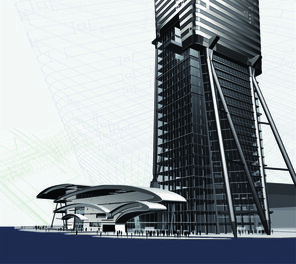 Simple changes in the body mass and building facades are utilized in the design of these buildings to set off the distinctive and diverse manifestations of the main buildings.